Dr. Dee Stokes is a spiritual leader/advisor who focuses on ministry, purposeful leadership, and kingdom education in an effort to "Build Influential People Who Change the World." Dr. Stokes spent 18 years as a basketball coach before her desires and dreams shifted and led her to retire from coaching to work in ministry full time. Her desire to be the best in her field as a coach was replaced with the call to ministry. Her passion has shifted again to planting and training others to plant Fresh Expressions of Worship. She is a pioneer and trainer with the Fresh Expressions movement (freshexpressionsus.org). Before going into ministry, Dr. Stokes worked at such institutions as the University of Alabama at Birmingham, Texas A&M University, Winthrop University, and the University of Nebraska as an assistant coach. Stokes was head coach at East Carolina University, Winston-Salem State University, and Southeastern University. She was also an Assistant Professor of Education at Southeastern. She has been a Pre-K through 8th grade school administrator, an adjunct in Ohio University's Online Coaching Education program, and currently adjuncts at Belhaven University in their Online Sports Administration and Leadership programs all while serving in the local church and as the President/CEO of Dee Stokes Ministries, Inc.
Dr. Stokes holds the Doctor of Education (Ed.D.) in Educational Leadership, and an Education Specialist (Ed.S.) in Educational Leadership from Liberty University. She also has a Bachelor of Arts in Sociology from UNC Charlotte as well as a Masters of Public Administration from DeVry University. Dr. Stokes also has a certificate in Theology and Ministry from Princeton Theological Seminary, and has studied Theology at Asbury Theological Seminary and Pentecostal Theology at Global University. Her research interests include emotional intelligence, cultural intelligence, transformational leadership, and burnout, and would eventually like to do research in the area of burnout and college coaches. Because of her research in these areas, Dr. Stokes travels globally presenting cultural intelligence and leadership workshops. Dr. Stokes also does life coaching, and if interested, please contact her via her website. Beside her 2010 book Experiencing GRACE: One woman’s year long journey with God after the death of her mother, which is under her pen name of D. Michelle Stokes, Dr. Stokes wrote a story for the 2009 Chicken Soup for the Soul: Inside Basketball book entitled “Sideline MVP," and also has written a brochure titled 21st Century Leadership highlighting her research and the need for corporate succession planning. 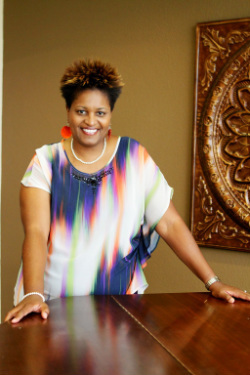 Dr. Stokes also published her dissertation in book form titled, Cultural Intelligence, Transformational Leadership, and Burnout: The 21st Century Leader's Playbook for Understanding the Relationship Between CQ, TL, and Burnout, and has a two-volume devotional, Break the Box: A Message of Hope and Inspiration. Beside her Fresh Expressions and Dee Stokes Ministries work, Pastor Dee serves as Lead Pastor at Unity UMC (www.unityumc.org) in Thomasville, NC where she focuses on spiritual formation, community relations, and leadership development. Pastor Dee is the first Black person to serve as Pastor in Unity's history. She is heavily involved in the Thomasville and Triad area as a Rotarian, former member of the Thomasville Multicultural Committee, board member for Fellowship of Christian Athletes (FCA), former board member for Family Services of Davidson County, Thomasville City Schools Board of Education member, and board member of the Novant Health Thomasville Medical Center Foundation. Pastor Dee is also an ordained Elder and member of the Light of the World Covenant Fellowship International, and a member of the National Hispanic Christian Leadership Conference's (NHCLC) Faith and Education Coalition and Leadership Advisory Council (www.faithandeducation.com).